Hard to believe it's only February and we're already starting to think and talk about the Oregon Brewers Festival...which doesn't happen until late July. Such is life here in Beervana, where there is no beer off season or Spring Training. The first warning shot across the bow was fired this past week in the form of a press release announcing the usual festival specs. Lots of beers. Check. Standard venue. Check. Destination event. Check. There are a couple of surprises for people this year, one of them quite a big one in my view. Coming right up. First, they've added a Wednesday (Noon to 9 p.m.) shift to the schedule. This isn't a huge surprise because the OBF has outgrown its time and place. Remember, this was a two-day event early on. When it first expanded to three days (in 1990), taps didn't open until 4 p.m. on Friday. That was soon rectified and the festival eventually expanded to four days in 2005. Now it's time to grow once more. Give Art Larrance and OBF organizers some credit here. They know patrons get frustrated when crowds restrict access to the beer. There hasn't been any serious thought of changing the venue... Waterfront Park is too perfect. So their options were to expand the space or extend the number of days. More space was going to be a problem, so they added a day. This change is not without risk. While nobody is talking about it, the extra day means additional cost. Larrance will be leasing the park for an additional day; he'll need additional staffing; he'll need more volunteers to man taps and sell tokens. If you think volunteers are free, you're sadly out of touch. They're getting paid with shirts and beer...which cost money. By adding the extra day, they are gambling that attendance will increase. Maybe not instantly, but eventually. They've been stable at 80,000 or so the last few years. Perhaps we'll see 90,000 by 2014 and 100,000 a year or two later. The risk is this: If attendance doesn't expand, they will be sitting on essentially the same revenue and more cost. You might argue they will extract more revenue from the existing crowd once people have an easier time getting to the beers they want to try. Fair enough. But it's hard to see how spreading the same 80,000 out over five days is going to add up financially. Attendance will have to increase to make up for the extra costs. I think it will, but we'll see what happens. The second change, far bigger in my mind, involves the traditional plastic mug...which is out for 2013. I don't know what they used the first few years, but the plastic mug has been a icon at the OBF for the 23 or so years that I've been attending (and I've got a pile of them). Now it's out, to be replaced by a 12 oz tasting glass. There had been some conversation about the mug in recent years. Some of this came from the environmental standpoint. This specific mug is not particularly recyclable. Even if used mugs were tossed into recycle bins, chances are they wound up in a landfill. Not the best. The other angle here, and the one that apparently turned the tide, has to do with taste. Plastic is an imperfect material in which to serve beer. Why? Because the smell of the plastic can mingle with the aroma and flavor of the beer. I suspect that's especially true in the late July Oregon heat, when heated mugs can give off nasty odors. "Off-gassing" is the descriptive term. They evidently received a number of complaints about this in 2012, which helped end the plastic mug era. 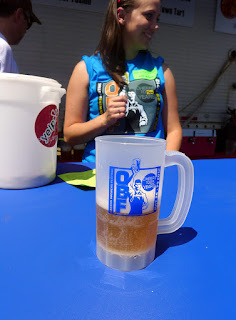 Seeking a better choice, the OBF brass considered a cornstarch cup similar to what Craig Nicholls uses for the North American Organic Brewers Festival. These are supposed to be highly recyclable and there's no danger of odors because petroleum products aren't used to make them. Well, it turns out the cornstarch cups are creating a stir at local compost facilities. They evidently don't decompose easily. Thus, there is an ongoing discussion as to whether the city will continue to accept these things for recycling. So they probably aren't a great environmental option after all. Glass is a great option because it's easily recyclable and glass doesn't mess with beer. But glass wasn't initially considered because OBF organizers were under the impression that it was banned in Waterfront Park. After seeing glass used at other festivals in city parks in recent years, the OBF asked and discovered there was no such ban. Viola! A solution. So the OBF is going with a 12 oz glass for 2013. (Word is, Nicholls will also switch to glass for the NAOBF). They haven't chosen the actual glass because they're still reviewing bids, so the artwork that will go on the glass is all I can show. But you will be drinking out of a glass in late July, that much is certain. First, glass is a great idea. It's better for the environment and for the beer drinker than plastic. I doubt they'll see much of a problem with breakage because the ground is soft in the park. That's less the case at the Holiday Ale Festival, held on the cement at Pioneer Courthouse Square, but never mind. Finally, pricing...you'll pay $7 for your tasting glass at the 2013 OBF. These things surely won't cost a fraction of that. It was $6 for a cheap plastic mug last year, so silly pricing is nothing new. 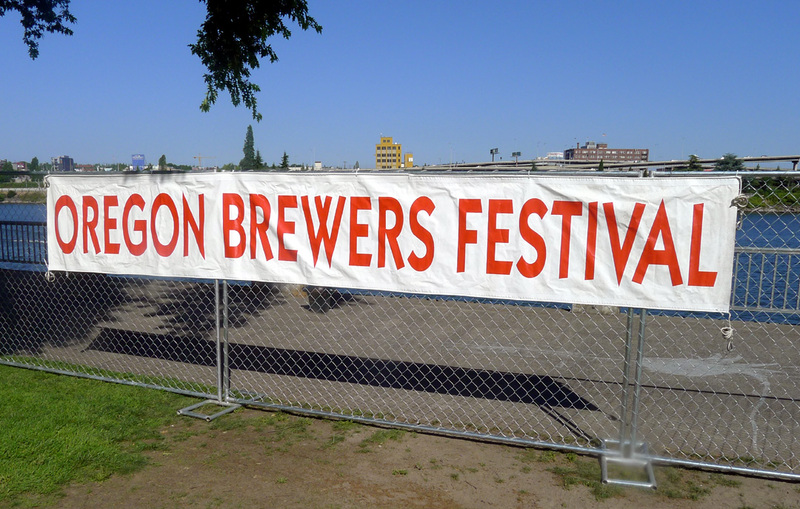 Indeed, one of the unfortunate results of craft beer's success is the escalating cost of festival attendance. 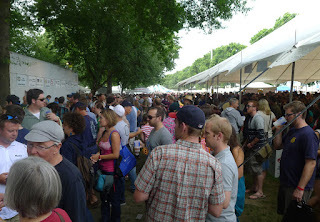 Once upon a time, festivals were all about getting people to come out and taste the beer. Those days are gone and the days of making money are here. 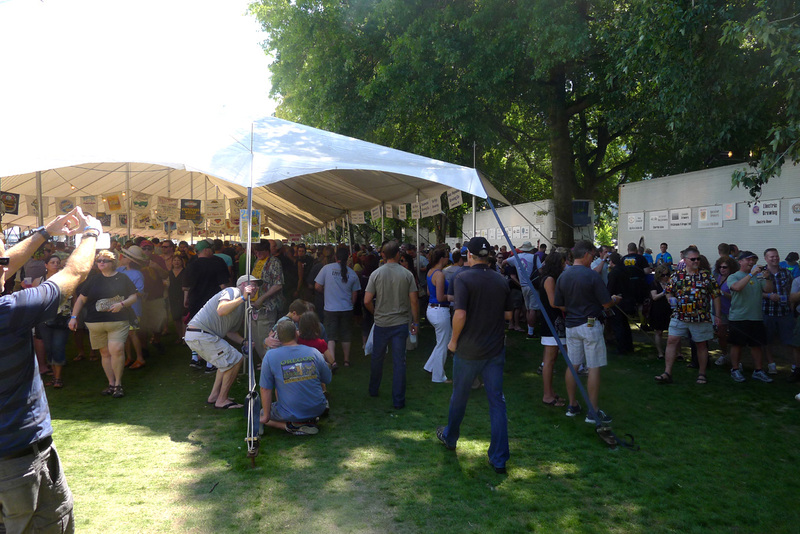 The Oregon Brewers Festival is still one of the better festival values around. Beer prices aren't ridiculous and you aren't forced to buy a high-priced tasting package just to enter the grounds. But the price of the tasting vessel is problematic and a sign of the times. I'm with you that the switch to glass is far bigger news than adding an extra day. 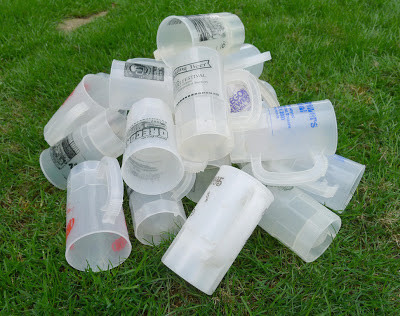 Coming from the Midwest I was horrified (really, this is not an exaggeration) with the prevalence of plastic mugs at festivals out here. Regardless of footing (grass, concrete, whatever) I've never been to a festival in the Midwest that would even consider using plastic. SO glad we're seeing a change. Hopefully the rest of the festivals will follow suit.